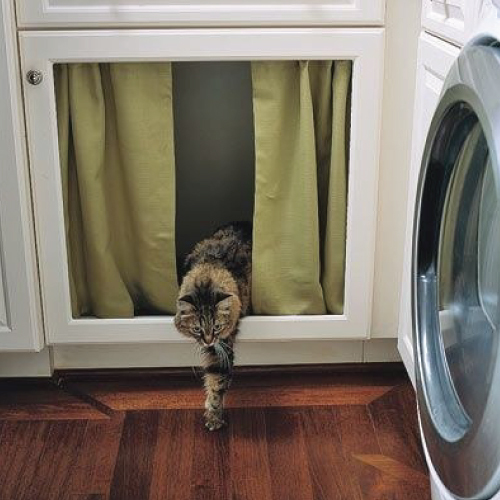 We think all cat owners can agree when we say our kitty friends can sometimes get themselves into some strange situations. 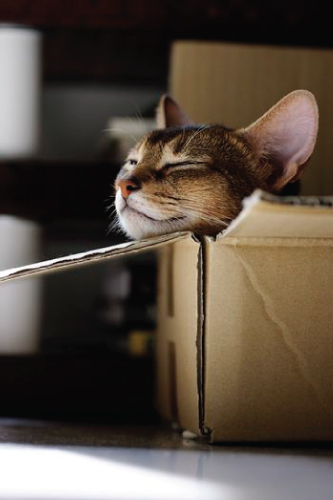 Well look in fear no more as we reveal our Top 8 Hacks that will make every cat owners life easier. 1. 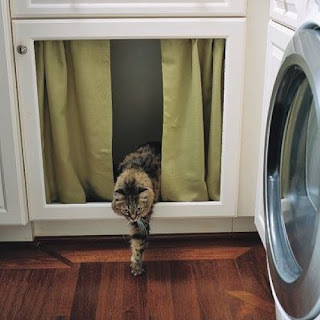 If your cat would prefer to do their business in private, remove a cabinet door panel and add a curtain with a tension rod to hide a litter box inside. 2. To give indoor cats a little feel for the outdoors lifestyle, make a tiny bed of grass for your cat to sit on. 3. Cats enjoy high places so they can keep watch and look down on their surroundings. 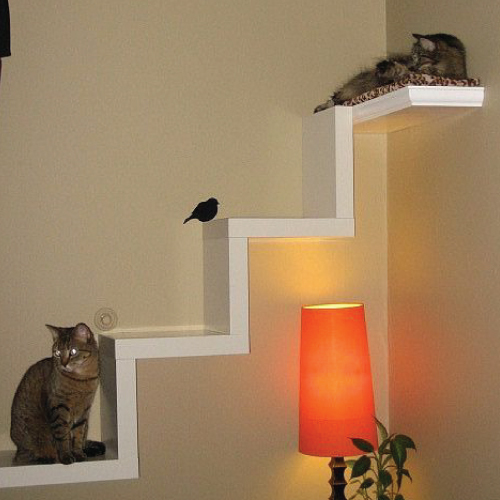 Create a cat stairway to heaven using Ikea Lack shelves. 4. Create a D.I.Y kitty exercise tower by cutting out squares in a bookshelf for your cat to climb through. 5. 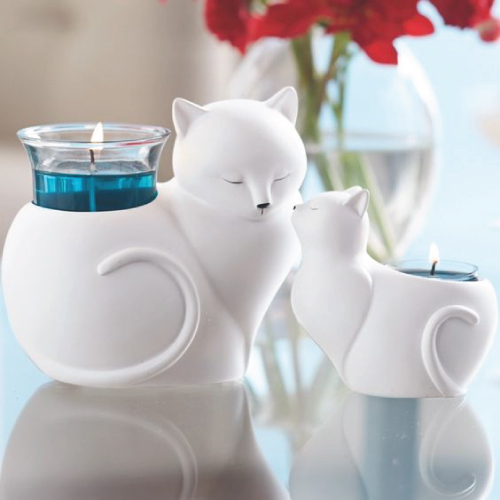 If you suspect your cat has fleas, in addition to administering an appropriate flea control, light a candle and it should trap any stray fleas. 6. 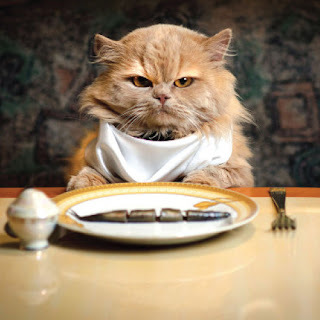 If your cat eats too quickly and then throws up, place their food in a shallow plate. This will stop your cat from shovelling large amounts of food into their mouth, and encourage them to take smaller bites. 7. 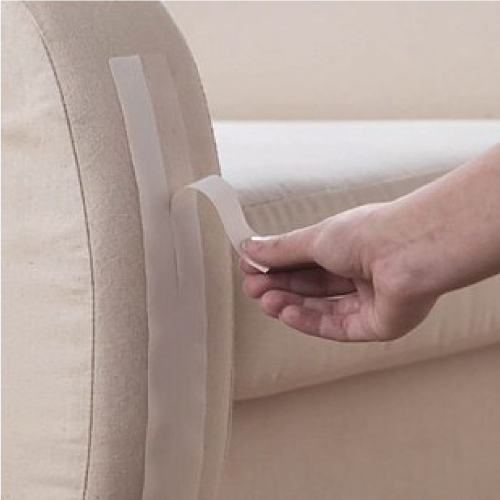 If you don't want your fur friend making home on your new couch, temporarily place double-sided tape on the areas your cat jumps. Cat's will not like the sticking feeling on their paw's, and as a result stay off the areas where the tape is placed. 8. It seems to be a 'cat' thing whenever we go to do some work in the office, our cats take the opportunity to come join us and place themselves in all the wrong places. On the keyboard, in front of the monitor, over your arm, the list goes on. Place a cardboard box of some sort (upside down board game boxes work great) on your desk. 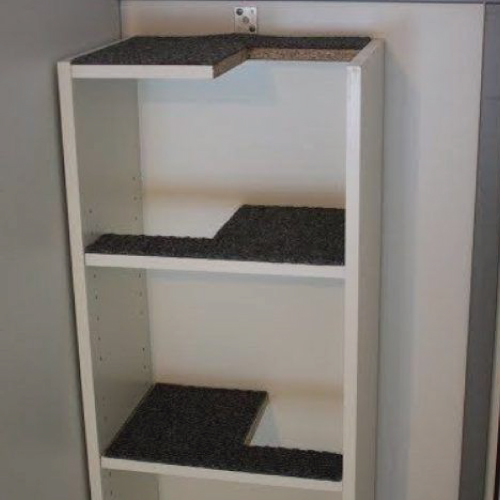 We guarantee your cat will make this new, oh so comfy place home and allow you to finally get some work done in peace. 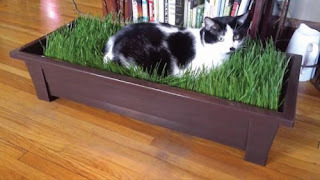 Ever wondered why your cat chooses to run laps of the house at 3:00AM? Click here for more.